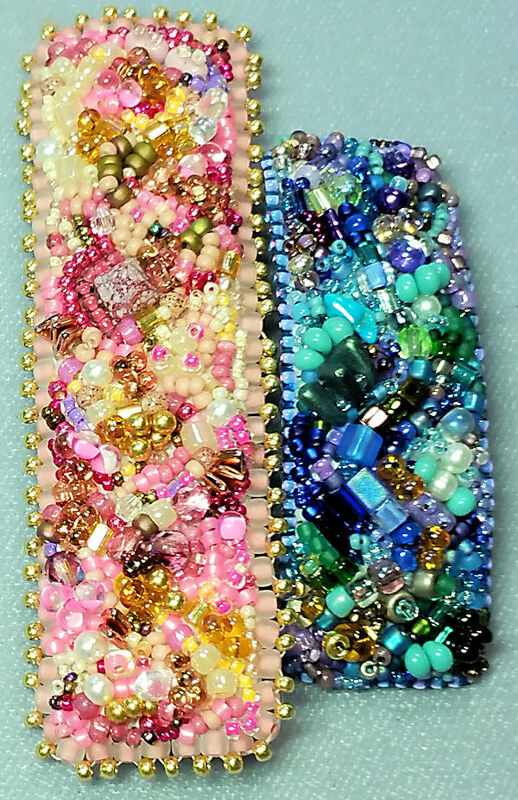 I have had questions on what projects are best for those new to beading. But even experienced beaders may find this post useful, as sometimes we need to go back to our roots. Or, you may need a refresher on a particular technique. So let’s talk beading! What Jewelry Do You Like? The first thing is to decide on what you like to wear for jewelry. Are you into bracelets, or do necklaces turn your head? Do you get ecstatic when you pass an earring display, or do you prefer your rings on your hands? Once you’ve got that decided what you’d like to make, then think of your personal style. Are you someone who likes a clean tailored look or do you prefer something more organic? And of course — what colors go you prefer? Is your look more muted, or do you go crazy for bold colors? The reason I asked you to think of all this is because you want to be able to wear your jewelry! And it’s a whole lot more fun when you know you will have a great time not only making it, but wearing it as well. Of course, maybe you want to make some jewelry for a friend or relative. What kind of jewelry do they like, and of course, what colors do they favor? 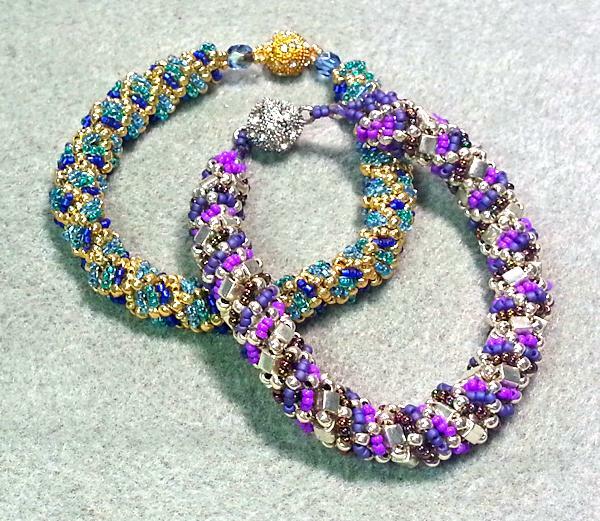 If I was totally new to beading and wanted to try it with a minimum of money, I’d go for making some stretch bracelets. I have two videos on making them (here’s the link to the other one), so you can get an idea of what might be involved. Another project that is easy is a wrap bracelet (and of course I have videos on them as well). If you want something a little more of a step up, try some stringing — you can work with beading wire and crimps to make some gorgeous necklaces, bracelets and even earrings! Naturally…I have a video for that too! One of the easiest weaves using seed beads is probably peyote — once you have the first two rows set up, it’s almost like autopilot — the pattern of the weave is very obvious. One of my personal favorite beading stitches is Russian Spiral — that’s the pattern in the picture at the top of this post. The weave is easy to follow, and better yet — it works up quickly! Want some videos on seed bead stitches? Check out my Youtube playlist for the seed beads. Bead embroidery is gorgeous, and it’s probably a lot easier than you think. I do have a Bead Embroidery 101 video, and if you think you’d like to work with components, I have an ebook tutorial for that. I also have some other bead embroidery videos. Here’s a link to my Youtube Bead Embroidery Playlist. The thing I like best about bead embroidery is that it’s very, very forgiving. I do a lot of organic work, and it’s a case of “anything goes”. I have to credit Sherry Serafini with my addiction to bead embroidery. While I am in no way in her league, she is my inspiration. OK, so these are my feelings on beading, per se. Upcoming…my thoughts on all things wire!